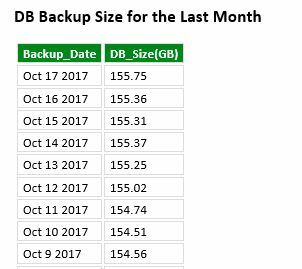 This is one simple example how you can use sp_send_dbmail stored procedure from msdb database to send DB backup size daily. And this is how final results should look like (Note, I do note have whole month backups for DB I used). You can create job and receive daily db backup size information.